A famous painting by the Japanese artist, Hokusai. Brilliant art decal from our collection of Japanese wall stickers. If you love art and Japan then this is the perfect design to give your home a personalised touch! 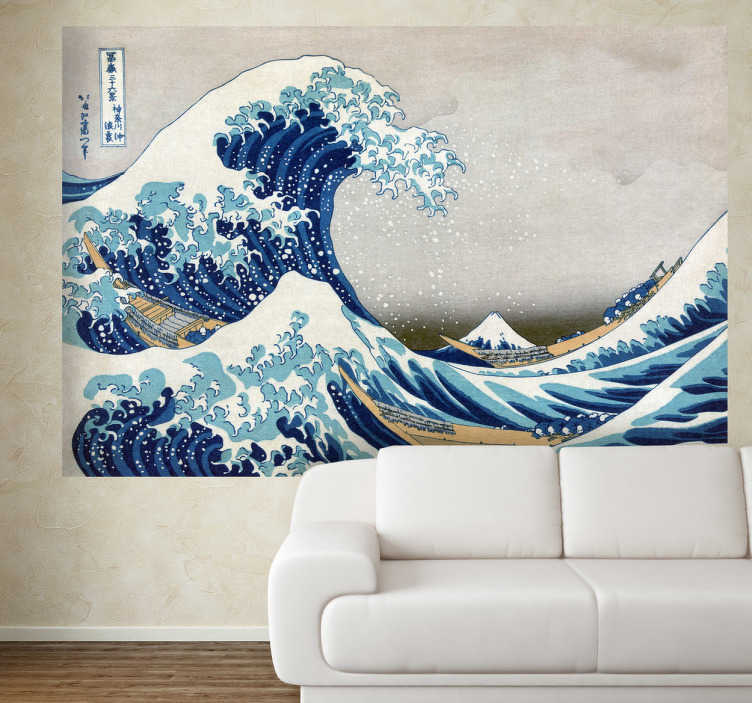 This Japan wave art is available in various sizes. A high quality decal that must be placed on a smooth surface. Easy to apply and leaves no residue upon removal.